Vegetarian casseroles are great for dinner on busy nights. The dog is barking, the kids are screaming and dinner still isn't ready. Sound familiar? Time to try some of these easy one-dish vegetarian casserole recipes. Just turn on the oven, put a few ingredients into a casserole dish and set the timer. Vegetarian and vegan casseroles can be either a main dish or a side dish, depending on the recipe and the size of your appetite. If you're not sure what's for dinner tonight, try one of these easy vegetarian casserole recipes. This quick and easy cheesy pasta and bean casserole with pasta, tomatoes, and beans are a great way to use up any leftover cooked pasta you have lying around. Just "dump" a few ingredients into a dish and bake. Although you do have to cook the pasta beforehand, this vegetarian pasta casserole only has five ingredients, so it really can be a time saver on a busy night (and a great way to use up leftover cooked pasta). A main dish vegetarian casserole. Inspired by Southern-style baked macaroni and cheese casseroles, this baked vegan quinoa casserole with spinach is made with a vegan "cheese" sauce and topped off with seasoned breadcrumbs and baked to healthy perfection. Isn't it beautiful? If you need this recipe to be gluten-free, use cornstarch or a gluten-free flour in place of the regular flour, since all of the other ingredients are wheat- and gluten-free. If you like vegetarian quinoa casseroles, you might also want to try this vegetarian quinoa and two-cheese vegetable casserole. T​his meatless enchilada casserole (tortilla pie) is filled with black beans and cheese layered in between corn tortillas with salsa, tomatoes and black olives, and, since you can get it in the oven in less than 20 minutes, it's great for a weeknight family meal. Just add a side green salad and you're good to go! 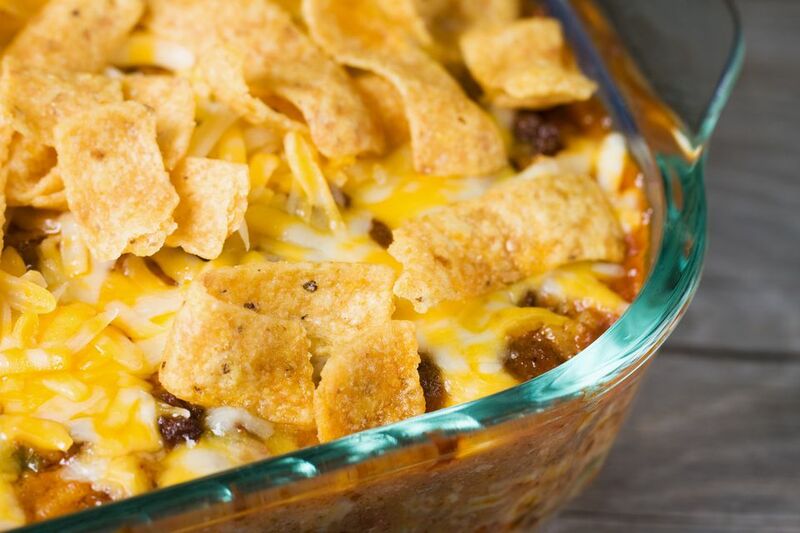 This easy nacho chili cheese casserole bake reminds me of nachos since it's layered with tortilla or corn chips, beans, and cheese. A bit of chile and hominy round it out with some fiber, and sauteed onions add extra flavor. Each time we make this, we're tempted to sneak in more vegetables, perhaps some tomatoes or spinach. 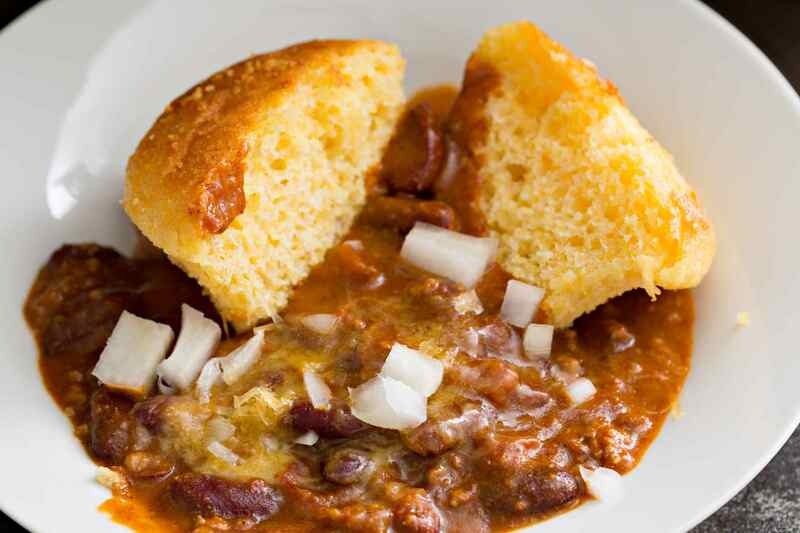 But then again, this simple baked bean casserole is just about perfect, just the way it is. Use a vegan cheese substitute to keep this recipe dairy-free, or, add extra cheese and go easy on the chiles if you're cooking for kids. A layered vegetarian Mexican-inspired tortilla pie or Mexican casserole made with black beans, flour tortillas, corn, and lots of cheese. Like Mexican casseroles? This meatless black bean tortilla casserole is another popular vegetarian casserole. This cabbage and cheese side dish casserole is baked with a simple breadcrumb topping. It sounds simple―and it is―but the end result is absolutely delicious. Just tell your kids it's like macaroni and cheese, but with cabbage instead of pasta! Shepherd's pie is a casserole dish traditionally made from meat and mashed potatoes, but this vegetarian Shepherd's pie recipe uses lots of healthy vegetables instead of meat. The recipe also includes vegan substitutions, so you can still make this shepherd's pie if you need a vegan recipe. Who says you can't have breakfast for dinner? You're an adult, you make your own rules now! This vegetarian French toast vegetarian sausage breakfast casserole perfect for a vegetarian weeknight or weekend dinner (or breakfast or brunch, too, of course), made from eggs, bread, milk, vegetarian sausage, mushrooms, onions, and cheese. This is a super easy tomato and bean one dish casserole made from just six ingredients plus salt and pepper. It's not quite hearty enough for a full meal, but if you added some sauteed tofu or served it with a vegetable side dish and a salad, it would make a nice light meatless meal. Green bean casserole was always a Thanksgiving staple at my house growing up. You can try this easy crock pot green bean casserole recipe, which uses pre-made soup and is ready to cook in your crock pot in just a few minutes, or, for a dairy-free and egg-free vegan version, try vegan green bean casserole, which uses vegan margarine and nutritional yeast to create a rich and creamy sauce. Don't have dinner, have BRINNER!